GitHub - lukasvinclav/django-admin-actions: Display Django admin custom actions in changelist, changeview or per row in changelist. Display Django admin custom actions in changelist, changeview or per row in changelist. Want to be notified of new releases in lukasvinclav/django-admin-actions? django-admin-actions provides simple way how to define custom actions for Django admin changelist, changeview and per row in changelist. 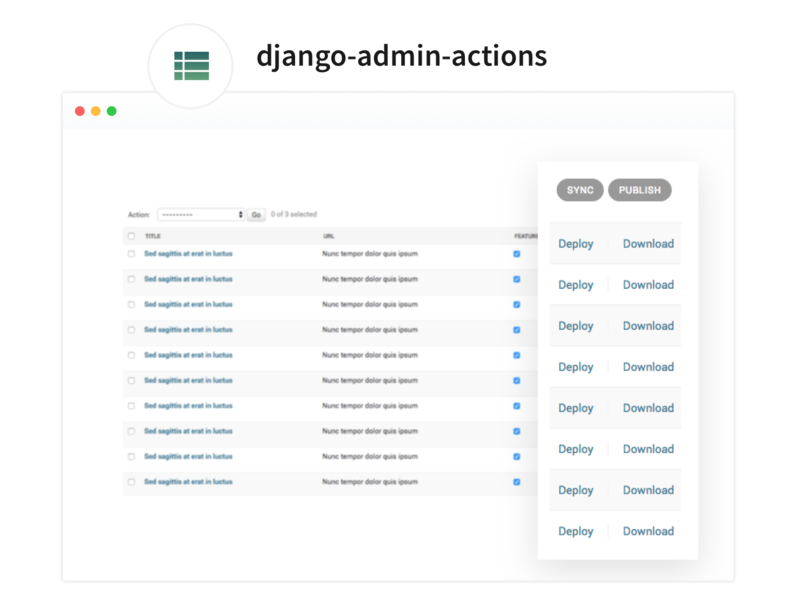 Add admin_admin_actions into INSTALLED_APPS in your settings file before django.contrib.admin.